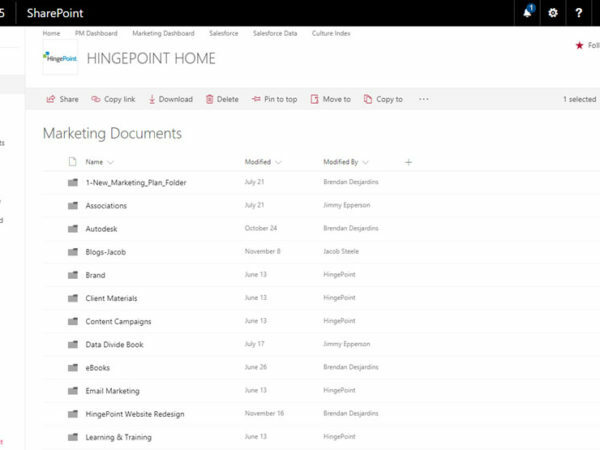 [post_content] => SharePoint is an incredible data management tool that helps organize and find on-demand data for your business. 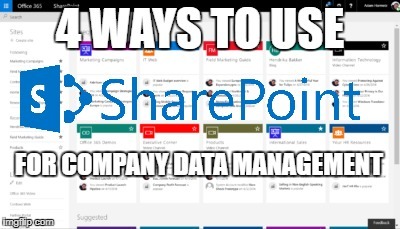 One of the greatest things SharePoint can do is give employees in different departments the ability to have their data easily accessible and organized in one place, instead of hunting for it. What do we mean by data? We mean contracts, project information, policies, employee training, and metrics. But there is a lot more to data than just simply having it. See our free, online eBook to learn more about getting the right kind of data in your business. Companies have historically not trusted the data they have about projects or HR tasks like employee training. Instead of going to a trusted system of record or data source, employees must hunt and gather the data. There are many ways to hunt. Often, companies who do not trust data will have a lot of meetings about projects and find information through email, instead of looking at the system of record. Here are four areas where SharePoint helps companies be more efficient and have more accurate, accessible information for employees. A project management dashboard is important because it keeps helps you stay on top of your projects. You can get your projects done faster, cheaper, better with fewer mistakes. SharePoint can even predict when your projects are finished, provide all necessary documentation for a project and details. We help businesses customize and integrate SharePoint for better project management. We’ve seen businesses use SharePoint to track contracts with governments and track hundreds of RFPs. SharePoint can even report on RFPs and – if a company has the information – the competitive intelligence needed to win an RFP, all at a push of the button. One company we worked with had a paper sign in sheet to determine who went to mandatory training. Human resources would spend countless hours following up with employees to see who finished mandatory, government training. Now, employees can self-report by checking a box in SharePoint, and all the information is automatically reported. A lot of companies track how well they are doing with SharePoint. They track how well they’re completing their tasks, compliance with various procedures, safety incidents, sales numbers, and contract wins. Again, with performance metrics reporting in one place, employees are not forced to track information down. [post_content] => What is data? Many businesses struggle when accessing, finding, mining, cleaning and organizing data about their business. We help a lot of businesses using SharePoint, Salesforce, and Power BI and other enterprise tools, and almost always, they need help migrating, mining and cleaning their data. We want to explain the data that can maximize your business. What is it and what kind of data do you need to transform your business so you can make quicker and more accurate decisions? 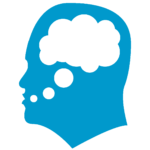 Bad Data – Several companies we worked with have Customer Relationship Management (CRM) systems. A CRM is software that keeps track of your customer and prospect information, like Salesforce. Sometimes the information in the system gets unorganized. For whatever reason, the data in the CRM cannot be trusted. The phone numbers don’t match with the right customers. Address fields are not lined up and the information cannot be trusted. This is bad data. The test to determine if you have bad data is to ask yourself, “Would I make a major business decision based on this data?” If the answer is no, you might need help cleaning your data. Good Data – Good data is accurate; it can’t be faulty. It’s got to be true data and it reflects what happened in the real world. If you hired a new employee and his name is Jonathan, your human resources records, and all other records need to state that the new employee's name is Jonathan. Not Jon or Jonathon. Obviously, good data is the opposite of bad data. It’s data that is clean and accurate. Think of the CRM again. All fields are lined up and it can be trusted. But this is not the best form of data. Information can be accurate, but if it’s difficult to find and analyze then it is not going to do very much for you. If the goal is to analyze your data to see trends and make decisions, the data needs to be accessible and visual. HingePoint Data – This isn’t just a shameless plug for our business; you do need more than just good data. Let us explain. A hinge point is a point where things change. A HingePoint is a point where something literally pivots. It’s the turning point where you are going to see a significant change take place.To get HingePoint data it needs to be good, accurate and visual data. The goal of Hinge Point Data is to give you the insights that revolutionize and transform your business. Data is accurate, clean and can be trusted about a particular subject. But you need to be able to easily compare and contrast this data. Data helps us understand what is really going on, then we can make more informed decisions. It can help you make predictions and forecasts by understanding the trends of your business. [post_title] => What is data? [post_content] => Many reasons exist on why you don’t have the data you want or need for your business. Our customers have struggled with this constantly, especially if they are using a system like SharePoint or Smartsheets. By the time a customer has called us, they have usually exhausted every resource within their business and often have hired a standard IT company that did not fix the root cause of their woes. If you’re a growing company and you’re onboarding employees and vendors, accurate data on who your employees are and what they are working on is critical for success. Although it sounds like a simple human resources task, it can actually be quite challenging. Many of our customers have used spreadsheets like Excel to manage their financial data, employee data, and assets. Some were using old versions of SharePoint with unorganized data. When we’re working with software and older systems, our data about employees are prone to be full of errors, inaccurate and old. The trick is to get up-to-date, accurate information out of your data management system instead of old, error-prone data. Spreadsheets were great tools when the data was smaller and more manageable. But what happens when you start hiring 10 to a hundred or even 500 employees at a time while managing employee data in a spreadsheet or in multiple, unstructured databases? It gets unmanageable. Here’s why. As the business grows, more departments need human resource employee data. More information is attached to the employee. And soon just having the right name, address, phone number and social security number across the enterprise are challenging if you don’t have the right controls and organization. For example, a manager could get access to a Human Resource spreadsheet with employee names and other important information. Let’s say he has an employee named JoAnne, but she likes to be called Jo. He changes the data because he can and there are no restrictions preventing him. JoAnne will be called different names in different versions of spreadsheets. Throw time in there, too. Perhaps “Jo” is a contractor and keeping her time with a spreadsheet and must give the time to the manager. The manager sends JoAnne’s hours and all contractors to Human Resources so they can get paid. The manager’s project data is being merged with human resource’s data. The problem is that we have two different names in the system. No V-lookup or Pivot Table is going to solve this. It’s going to take someone to manually go in and fix the data. This might not seem like a big deal, but as the company grows, these smaller errors will multiply in other departments. Once this happens, the employee data cannot be trusted, and it will take a lot of manual work to fix the errors each pay period. The data problems can become so big that businesses end up just not trusting their data, causing a lot of rework and manual data entry. A lot of companies hope that the software an IT company is going to install will solve the data problem. Unfortunately, this just adds another layer of complexity to the original problem. The problem that needs to be solved is how are you going to clean up your data, and then collect that data and then show it in a way that lets you see the data in a new light. Ideally, you want to make decisions with information that automatically reports to you. Seeing year over year, and month to month views of data can quickly identify trends. But the first step is clean data. [post_content] => What is Data Mining? Data mining is looking at a lot of data and trying to get valuable information out of it. Data mining deals with large data sets that would take too long to go through manually. So, data scientists create and use programs or software to look at these huge data sets and discover patterns in the data. The core of data mining is turning data into information. It can be overwhelming to look at a lot of data and not see the value in it. But what happens if you are a company and do not have so much information you need a program to determine the data you have? When dealing with smaller sets of data, you don’t necessarily need to hire a team of data scientists. You need someone who understands data and can extract it enough to show you it visually. Before you can mine your data for trends, you need to understand what data you have and if it is good or bad data. This is fundamental to using data to maximize your business. We call this the Data Detective phase of our unique process. The goal is to get Hinge Point Data, which is data that if accessed and visualized the right way can revolutionize and transform your business. A HingePoint is the point where something literally pivots. It’s the turning point where you are going to see a significant change take place. We found this happens best when you have the right data to make the best decisions or keep employees and customers the best informed. HingePoint executes this fundamental level of data detection with our data dictionary work. When we work with a customer, we go into the data and define every piece of data they have. Ideally, we’d go into the actual database and look at the tables and categorize and classify each column and data set. Once our customer understands what data they actually have, we can begin creating solutions that will mine for the data they want and need to maximize their business. [post_title] => What is Data Mining? [post_content] => Many businesses are still creating reports and comparing and contrasting business trends with PDFs exported from Excel instead of using the latest data visualization tools. But what is data visualization? Data visualization is looking at your key metrics and data with a graph, and it is usually on a dashboard. Think the dashboard in your car; it shows your gas tank, your speed, your miles. You can have a dashboard for your business with your sales funnel data, financial data and project hours for employees. However, all of this assumes your data is clean and can be trusted. If you don’t have data you can trust, then you definitely cannot use this data to make sound business decisions. Currently, a lot of companies look at their sales and financial data as line items on a sheet. If you are not looking at accurate data in a visual manner you’re probably missing a trend or an extra expense about your business. One of our customers had a financial system made out of PDFs. They had about six restaurants they were tracking. They would collect the finances for each of the restaurants and make separate PDFs. The PDFs would be shipped to the CFO team and they would dissect the information. Usually, the information was more than a month late because it took a while to build the reports. We built a financial dashboard. This collects all the information from the PDFs and puts the information on one screen. You can instantly get simple, comprehensive views of critical financial information on your phone. The customer had the ability to select what they wanted to compare from each restaurant in pie charts. So for example, if they wanted to see how much money each restaurant was spending on entertainment, they could easily see it. As soon as the financial dashboard came online… the customer realized they were spending way too much money on music and entertainment in one of their venues. They were able to make the decision to stop hiring so many bands immediately. Before the data wasn’t accessible. It wasn’t visible. The entertainment data was a line item in six separate PDFs. It also wasn’t in the same place. We created a dashboard to show side by side views of expenses like music and entertainment. They could see as a percentage of the pie that it was huge. As soon as they were able to visually see the data they could tell where their money was going and what changes needed to be made. [post_title] => What is Data Visualization? Often when we launch or upgrade new software like SharePoint for our customers, what they are really after is clean data. We want to keep track of important information that will make us smarter about our business. When we work with a new customer that wants to fix their SharePoint or Salesforce, we inevitably find that their data is not clean. To get systems to work the way the customer wants them to, we must help clean this data up so their software will be able to do what they want it to do, which usually is show accurate data. We often get the question, why isn’t my data clean in the first place? There are factors that can contribute to data that is not clean. 1. Usually, the data architecture is wrong. In other words, the way the databases were set up and the way different kinds of data related to each other are wrong. In a database, there are different tables that relate to each other. And that is the subject of data architecture… what columns are on which tables and how they relate to each other? So if you don’t set it the tables and databases up correctly, then while drilling down on your data you will get problems in terms of categorization or classification. Bottom line, tables, and databases need to be set up properly. If you do not know how to do this, you need to find a consultant or hire someone who understands how to set this up. It’s critical if you want to use data to maximize your business. 2. Permission Issues – Sometimes employees who should not are changing data. Someone had permissions that they were not supposed to have. Make sure that only the people that need to have permission to edit data have the right settings to do so. Set appropriate security permissions for employees. For example, only accountants should have permission to edit accounting data. If you are using something like Excel to manage financial data, then it might be time for a better system. 3. Data Entry Problems– Redundant data entry is a major culprit to unclean data. If you need to enter data multiple times, then this multiplies potential human errors. Errors also occur when copying it from one place to another. To prevent this, make sure data is automated as much as possible. Eliminate as much manual entry as you can. Let software and systems do that data transfer rather than people. Software can talk other software. Integration part. 4. Data Entered Wrong – The alternative is that the data was entered incorrectly the first time. Ideally, customers can use a system that guides people through the data entry process. You can use checkboxes and dropdowns with limited possible entries as guides to control what data goes where. 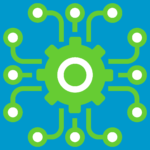 Many software systems have controls on what you can enter.To prevent this, make sure data is automated as much as possible. Eliminate as much manual entry as you can. Let software and systems transfer data rather than people. Software can talk to other software.